2018 Volkswagen Golf TSI S 4-Door 6-Speed Automatic with Tiptronic 1.8L 4-Cylinder TSI DOHC 16V Turbocharged Titan Black w/Cloth Seating Surfaces. $5,782 off MSRP! Welcome to the all new Oklahoma City Volkswagen! We pride ourselves in having the most knowledgeable and friendly staff ready to assist you with your purchase process. We are the only APR tuning facility in the state. Come see us right off of Route 66 in the heart of Oklahoma City. Just 2 miles west of I-44. We look forward to assisting you with your new Volkswagen purchase. 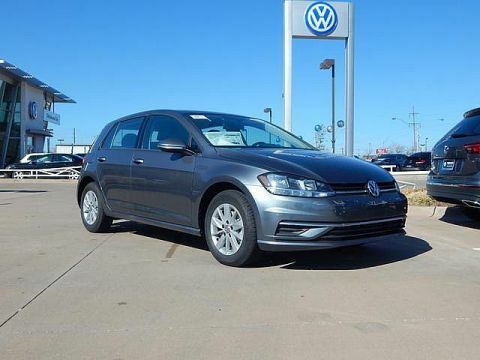 Call, email, text, or just stop by the store to take your new Volkswagen for a spin... at the all new Oklahoma City Volkswagen, where we focus our service on you, and nothing else. Dealer not responsible for errors and omissions; all offers subject to change without notice, please confirm listings with dealer. Pricing cannot be combined with any other offer, sales special, finance special or internet price quote. Some offers may require you to finance or lease your vehicle with Volkswagen Credit. All offers subject to credit approval. Plus dealer installed options. See dealer for complete details. 2018 Volkswagen Golf TSI S 4-Door 6-Speed Automatic with Tiptronic 1.8L 4-Cylinder TSI DOHC 16V Turbocharged Beige w/Cloth Seating Surfaces. $5,782 off MSRP! Welcome to the all new Oklahoma City Volkswagen! We pride ourselves in having the most knowledgeable and friendly staff ready to assist you with your purchase process. We are the only APR tuning facility in the state. Come see us right off of Route 66 in the heart of Oklahoma City. Just 2 miles west of I-44. We look forward to assisting you with your new Volkswagen purchase. 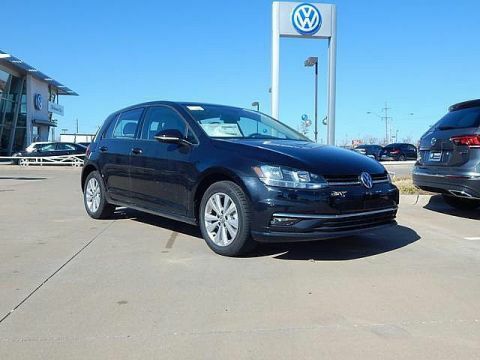 Call, email, text, or just stop by the store to take your new Volkswagen for a spin... at the all new Oklahoma City Volkswagen, where we focus our service on you, and nothing else. Dealer not responsible for errors and omissions; all offers subject to change without notice, please confirm listings with dealer. Pricing cannot be combined with any other offer, sales special, finance special or internet price quote. Some offers may require you to finance or lease your vehicle with Volkswagen Credit. All offers subject to credit approval. Plus dealer installed options. See dealer for complete details. 2018 Volkswagen Golf TSI S 4-Door 6-Speed Automatic with Tiptronic 1.8L 4-Cylinder TSI DOHC 16V Turbocharged Titan Black w/Cloth Seating Surfaces. $5,795 off MSRP! Welcome to the all new Oklahoma City Volkswagen! We pride ourselves in having the most knowledgeable and friendly staff ready to assist you with your purchase process. We are the only APR tuning facility in the state. Come see us right off of Route 66 in the heart of Oklahoma City. Just 2 miles west of I-44. We look forward to assisting you with your new Volkswagen purchase. Call, email, text, or just stop by the store to take your new Volkswagen for a spin... at the all new Oklahoma City Volkswagen, where we focus our service on you, and nothing else. Dealer not responsible for errors and omissions; all offers subject to change without notice, please confirm listings with dealer. Pricing cannot be combined with any other offer, sales special, finance special or internet price quote. Some offers may require you to finance or lease your vehicle with Volkswagen Credit. All offers subject to credit approval. Plus dealer installed options. See dealer for complete details. 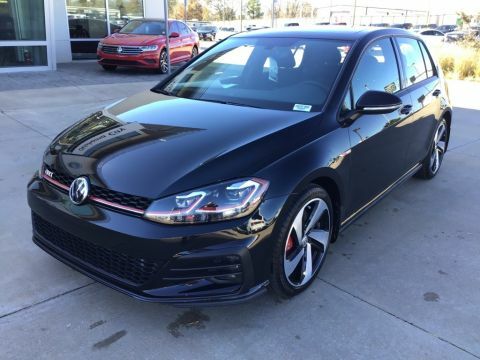 2018 Volkswagen Golf TSI SE 4-Door 6-Speed Automatic with Tiptronic 1.8L 4-Cylinder TSI DOHC 16V Turbocharged Titan Black w/Cloth Seating Surfaces. $2,560 off MSRP! Welcome to the all new Oklahoma City Volkswagen! We pride ourselves in having the most knowledgeable and friendly staff ready to assist you with your purchase process. We are the only APR tuning facility in the state. Come see us right off of Route 66 in the heart of Oklahoma City. Just 2 miles west of I-44. We look forward to assisting you with your new Volkswagen purchase. 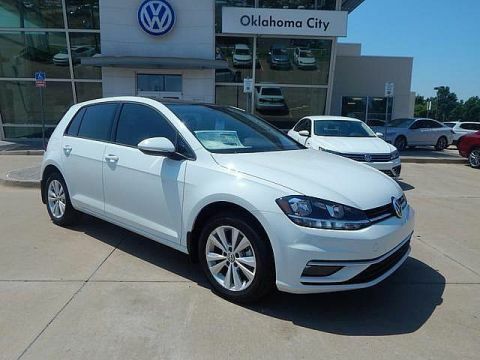 Call, email, text, or just stop by the store to take your new Volkswagen for a spin... at the all new Oklahoma City Volkswagen, where we focus our service on you, and nothing else. Dealer not responsible for errors and omissions; all offers subject to change without notice, please confirm listings with dealer. Pricing cannot be combined with any other offer, sales special, finance special or internet price quote. Some offers may require you to finance or lease your vehicle with Volkswagen Credit. All offers subject to credit approval. Plus dealer installed options. See dealer for complete details. 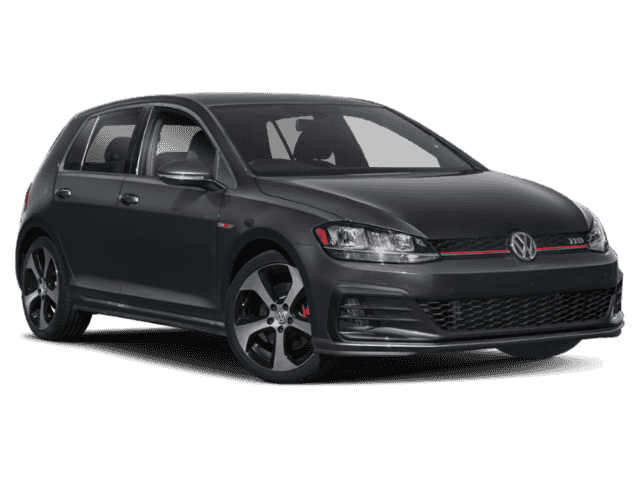 2018 Volkswagen Golf TSI SE 4-Door 6-Speed Automatic with Tiptronic 1.8L 4-Cylinder TSI DOHC 16V Turbocharged Titan Black w/Perforated V-Tex Leatherette Seating Surfaces. $2,592 off MSRP! Welcome to the all new Oklahoma City Volkswagen! We pride ourselves in having the most knowledgeable and friendly staff ready to assist you with your purchase process. We are the only APR tuning facility in the state. Come see us right off of Route 66 in the heart of Oklahoma City. Just 2 miles west of I-44. We look forward to assisting you with your new Volkswagen purchase. Call, email, text, or just stop by the store to take your new Volkswagen for a spin... at the all new Oklahoma City Volkswagen, where we focus our service on you, and nothing else. Dealer not responsible for errors and omissions; all offers subject to change without notice, please confirm listings with dealer. Pricing cannot be combined with any other offer, sales special, finance special or internet price quote. Some offers may require you to finance or lease your vehicle with Volkswagen Credit. All offers subject to credit approval. Plus dealer installed options. See dealer for complete details. 2018 Volkswagen Golf TSI SE 4-Door 6-Speed Automatic with Tiptronic 1.8L 4-Cylinder TSI DOHC 16V Turbocharged Beige w/Perforated V-Tex Leatherette Seating Surfaces. $2,592 off MSRP! Welcome to the all new Oklahoma City Volkswagen! We pride ourselves in having the most knowledgeable and friendly staff ready to assist you with your purchase process. We are the only APR tuning facility in the state. Come see us right off of Route 66 in the heart of Oklahoma City. Just 2 miles west of I-44. We look forward to assisting you with your new Volkswagen purchase. Call, email, text, or just stop by the store to take your new Volkswagen for a spin... at the all new Oklahoma City Volkswagen, where we focus our service on you, and nothing else. Dealer not responsible for errors and omissions; all offers subject to change without notice, please confirm listings with dealer. Pricing cannot be combined with any other offer, sales special, finance special or internet price quote. Some offers may require you to finance or lease your vehicle with Volkswagen Credit. All offers subject to credit approval. Plus dealer installed options. See dealer for complete details. 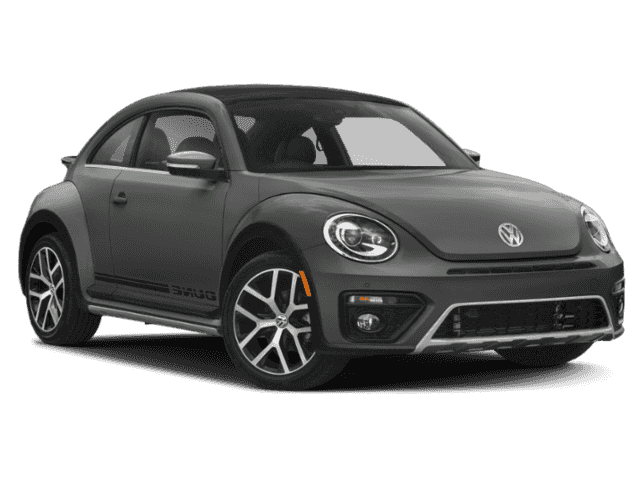 2019 Volkswagen Beetle 2.0T Final Edition SEL 6-Speed Automatic with Tiptronic 2.0L TSI Leather. Recent Arrival! $1,088 off MSRP! Welcome to the all new Oklahoma City Volkswagen! We pride ourselves in having the most knowledgeable and friendly staff ready to assist you with your purchase process. We are the only APR tuning facility in the state. Come see us right off of Route 66 in the heart of Oklahoma City. Just 2 miles west of I-44. We look forward to assisting you with your new Volkswagen purchase. Call, email, text, or just stop by the store to take your new Volkswagen for a spin... at the all new Oklahoma City Volkswagen, where we focus our service on you, and nothing else. Dealer not responsible for errors and omissions; all offers subject to change without notice, please confirm listings with dealer. Pricing cannot be combined with any other offer, sales special, finance special or internet price quote. Some offers may require you to finance or lease your vehicle with Volkswagen Credit. All offers subject to credit approval. Plus dealer installed options. See dealer for complete details. 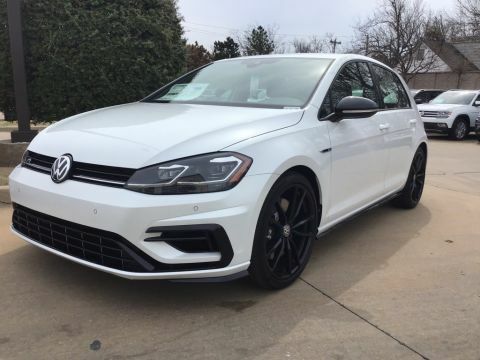 2019 Volkswagen Golf GTI 2.0T S 6-Speed Manual 2.0L TSI DOHC Recent Arrival! Welcome to the all new Oklahoma City Volkswagen! We pride ourselves in having the most knowledgeable and friendly staff ready to assist you with your purchase process. We are the only APR tuning facility in the state. Come see us right off of Route 66 in the heart of Oklahoma City. Just 2 miles west of I-44. We look forward to assisting you with your new Volkswagen purchase. 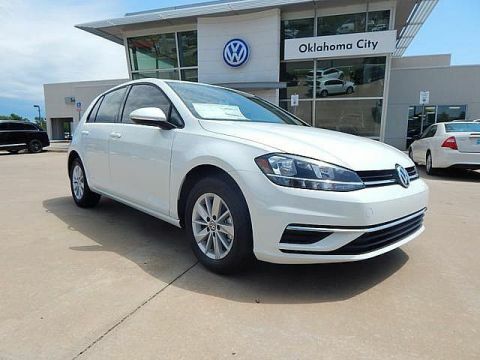 Call, email, text, or just stop by the store to take your new Volkswagen for a spin... at the all new Oklahoma City Volkswagen, where we focus our service on you, and nothing else. Dealer not responsible for errors and omissions; all offers subject to change without notice, please confirm listings with dealer. Pricing cannot be combined with any other offer, sales special, finance special or internet price quote. Some offers may require you to finance or lease your vehicle with Volkswagen Credit. All offers subject to credit approval. Plus dealer installed options. See dealer for complete details. 2018 Volkswagen Golf GTI 2.0T SE 6-Speed Manual 2.0L TSI $3,835 off MSRP! Welcome to the all new Oklahoma City Volkswagen! We pride ourselves in having the most knowledgeable and friendly staff ready to assist you with your purchase process. We are the only APR tuning facility in the state. Come see us right off of Route 66 in the heart of Oklahoma City. Just 2 miles west of I-44. We look forward to assisting you with your new Volkswagen purchase. 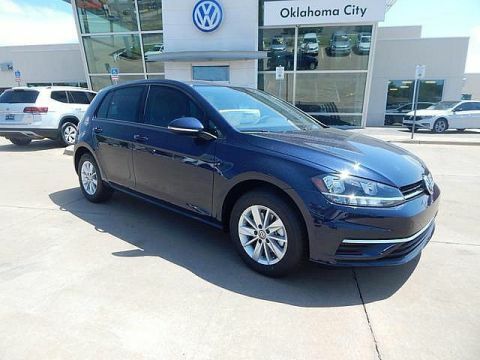 Call, email, text, or just stop by the store to take your new Volkswagen for a spin... at the all new Oklahoma City Volkswagen, where we focus our service on you, and nothing else. Dealer not responsible for errors and omissions; all offers subject to change without notice, please confirm listings with dealer. Pricing cannot be combined with any other offer, sales special, finance special or internet price quote. Some offers may require you to finance or lease your vehicle with Volkswagen Credit. All offers subject to credit approval. Plus dealer installed options. See dealer for complete details. 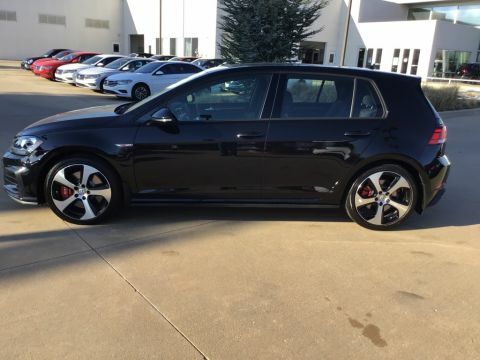 2019 Volkswagen Golf GTI 2.0T Rabbit Edition 7-Speed DSG Automatic with Tiptronic 2.0L TSI DOHC KEYLESS ENTRY, BACK UP CAMERA, BLIND SPOT MONITOR. Recent Arrival! Welcome to the all new Oklahoma City Volkswagen! We pride ourselves in having the most knowledgeable and friendly staff ready to assist you with your purchase process. We are the only APR tuning facility in the state. Come see us right off of Route 66 in the heart of Oklahoma City. Just 2 miles west of I-44. We look forward to assisting you with your new Volkswagen purchase. 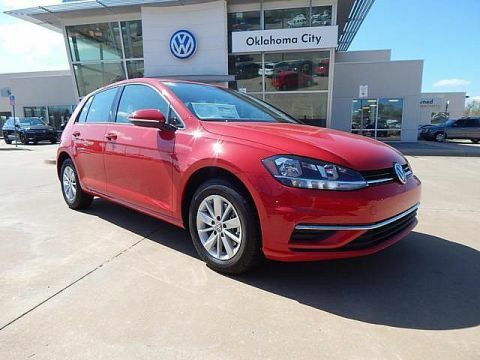 Call, email, text, or just stop by the store to take your new Volkswagen for a spin... at the all new Oklahoma City Volkswagen, where we focus our service on you, and nothing else. Dealer not responsible for errors and omissions; all offers subject to change without notice, please confirm listings with dealer. Pricing cannot be combined with any other offer, sales special, finance special or internet price quote. Some offers may require you to finance or lease your vehicle with Volkswagen Credit. All offers subject to credit approval. Plus dealer installed options. See dealer for complete details. 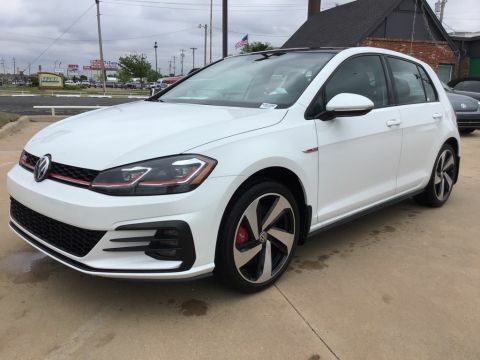 2019 Volkswagen Golf GTI 2.0T SE 7-Speed DSG Automatic with Tiptronic 2.0L TSI DOHC BLUETOOTH, MOONROOF / SUNROOF, HEATED SEATS, REAR VIEW CAMERA, BLIND SPOT MONITOR, ADAPTIVE CRUISE CONTROL, TINTED WINDOWS, MAINTENANCE PACKAGE INCLUDED. Recent Arrival! $3,888 off MSRP! Welcome to the all new Oklahoma City Volkswagen! We pride ourselves in having the most knowledgeable and friendly staff ready to assist you with your purchase process. We are the only APR tuning facility in the state. Come see us right off of Route 66 in the heart of Oklahoma City. Just 2 miles west of I-44. We look forward to assisting you with your new Volkswagen purchase. Call, email, text, or just stop by the store to take your new Volkswagen for a spin... at the all new Oklahoma City Volkswagen, where we focus our service on you, and nothing else. Dealer not responsible for errors and omissions; all offers subject to change without notice, please confirm listings with dealer. Pricing cannot be combined with any other offer, sales special, finance special or internet price quote. Some offers may require you to finance or lease your vehicle with Volkswagen Credit. All offers subject to credit approval. Plus dealer installed options. See dealer for complete details. 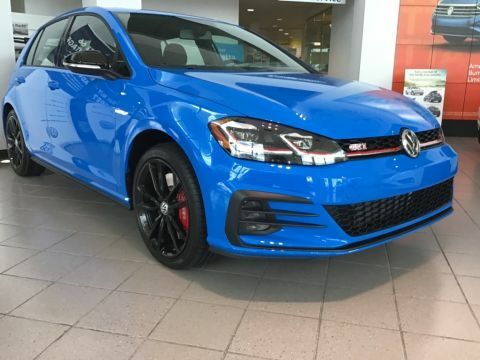 2019 Volkswagen Golf GTI Autobahn 6-Speed Manual 2.0L TSI DOHC $2,000 off MSRP! Welcome to the all new Oklahoma City Volkswagen! We pride ourselves in having the most knowledgeable and friendly staff ready to assist you with your purchase process. We are the only APR tuning facility in the state. Come see us right off of Route 66 in the heart of Oklahoma City. Just 2 miles west of I-44. We look forward to assisting you with your new Volkswagen purchase. 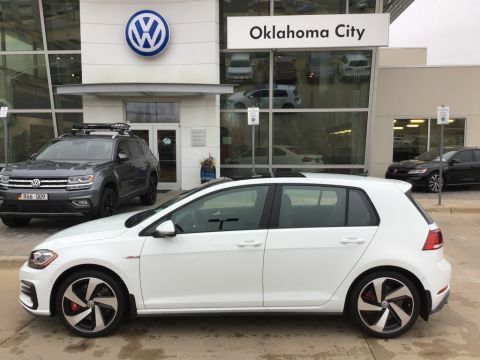 Call, email, text, or just stop by the store to take your new Volkswagen for a spin... at the all new Oklahoma City Volkswagen, where we focus our service on you, and nothing else. Dealer not responsible for errors and omissions; all offers subject to change without notice, please confirm listings with dealer. Pricing cannot be combined with any other offer, sales special, finance special or internet price quote. Some offers may require you to finance or lease your vehicle with Volkswagen Credit. All offers subject to credit approval. Plus dealer installed options. See dealer for complete details.